These were the parting words last week of a long-time Egyptian co-worker as we said good-bye after several days of working with women leaders of an empowerment program based on Christian teaching. I could have asked this basic question, but, instead, simply allowed the awful knowledge that she was right sink into my heart once more. 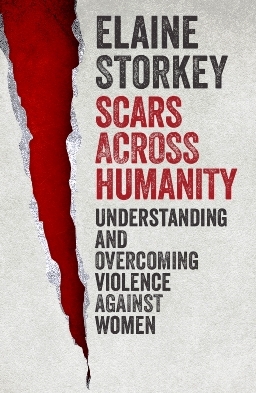 Back home in France, I picked up Elaine Storkey’s latest book: Scars across Humanity, Understanding and Overcoming Violence Against Women, published today (25 Nov.) to coincide with the UN Day for Elimination of Violence against Women. It turns out to be an invitation to not only ask “Why?” but to genuinely seek to understand the reality of human mechanisms behind violence against women. Chapter after chapter could be applied as to how the vulnerability of women in societies is exploited in order to jeopardise Christian communities. This affects Christian women across Africa, the Middle East and Asia. Particularly relevant is her chapter on war and sexual violence, “I found it all too easy to understand why gender-based violence is so powerful. It is a weapon every bit as formidable as guns or grenades … It is inexpensive, easy to use, available everywhere, and inevitably hits the target”. Tragically, the church is too often ill-equipped to protect its female members and can even inadvertently make things worse, as Scars Across Humanity does not shirk from acknowledging. 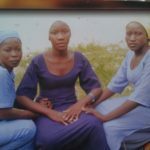 (For detailed research, which has gone to the International Criminal Court in the Hague as part of the case against Boko Haram of genocide against women and girls, for instance, see here. Such an approach, however, far from opening avenues for discovery, actually shuts down any dialogue on the supposed “mystery” through an almost paradoxical acquiescence to the seeming inevitability of the status quo. A dizzying, sickening list of atrocities, to be sure; however the very strength of this new book is that Elaine Storkey is as unflinching in her analysis of a range of theories which claim to explain, or even excuse, such behaviour as she is in her examination of the reality of women’s experiences. Scars Across Humanity may not be as comprehensive as Kristof and Wudunn’s popular Half the Sky in its detailing of practical program recommendations. It is, however, a vital contribution to the current global discussion on addressing this worldwide injustice in at least two essential respects. Firstly, it provides a necessary update on the situation of women across global regions and on the progress made in international legislation since the publication of the afore-mentioned work. 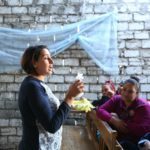 Since 2009, the political world has increasingly acknowledged the necessity of providing explicit legal protection for the rights of women and girls simply to guarantee basic human equality. Secondly and more uniquely, after providing a current review of the injurious situations that regularly – and, in some cases, increasingly – are faced by women and girls across the planet, Storkey comes to the all-important “Why”. The impetus behind her search for meaning is, inevitably, to lead the reader on to yet a further question; namely, “Why should we think we can do anything about it?” Storkey’s guided philosophical tour though the posits of evolutionary theory, family conflict theory, feminism, patriarchy, etc. is not so much an academic exercise in surveying relevant literature as it is the laying down of a rational path which leads to hope. As the book continued, I suspected that Storkey herself has a high view of humanity as a whole, male and female. Every reader will inevitably compare the stories, observations and conclusions in Scars Across Humanity with their own encounters in life or their particular worldview derived from cultural norms, news reports or religious conviction. I certainly did. 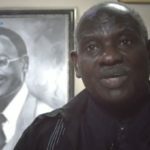 Especially as the author inexorably made her way towards the examination of how two religions, Islam and Christianity, have dealt with women. 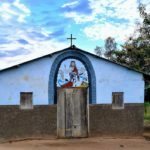 As Women to Women Coordinator for Open Doors International, I am all too aware that the relationship between Christianity and women has not always been a comfortable one. These are strong words for shattered lives. 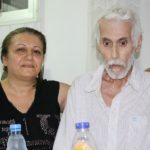 They would suggest to my Egyptian friend that there could, after all, be a limit to the suffering of women and that scars, far from signalling relentless pain, could denote places where wounds had finally found healing. Helene Fisher is Women to Women Coordinator of Open Doors International, which works with Christians under pressure worldwide. The book is published by SPCK.